Looking for a simple way to increase oral reading fluency in your classroom with very little teacher involvement? Look no further! Each week, I give my students a new passage, usually reflecting something we're studying in science or social studies. 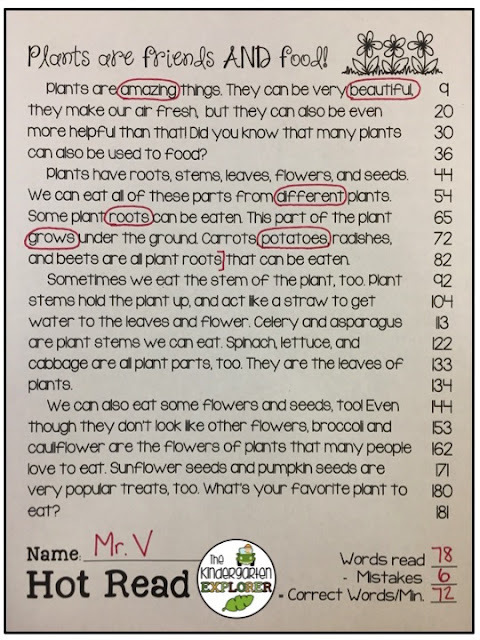 We are currently studying plants in science, so I whipped up this little fluency passage for my kiddos. On Monday, I give the students 1 minute to read the passage as a "COLD READ." They don't get a chance to preview the text beforehand, making it a true calculation of their words per minute. I simply take their total words minus mistakes to find the correct words per minute. My students are responsible for tracking their words per minute on a graph... Monday they color their total using blue, to represent their cold read. 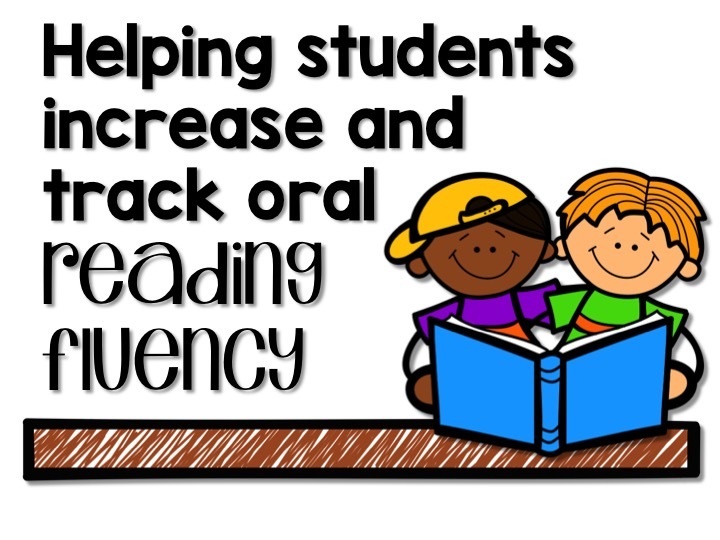 Students keep the passage in their book basket, and they know that every time they go to Read To Self or Read To Someone, they must first practice their fluency passage. 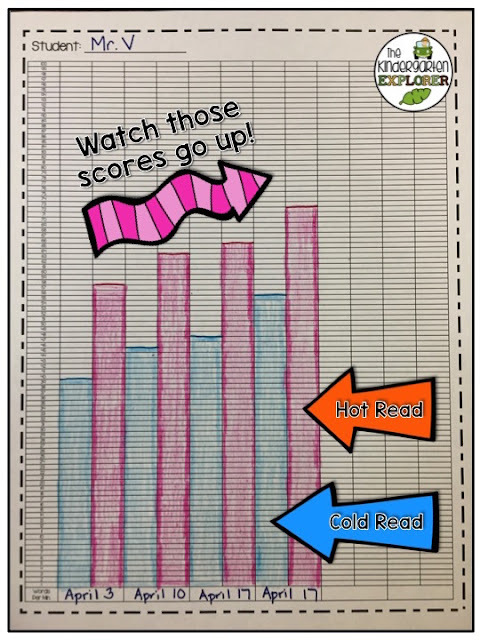 I reinforce the concept of rereading text for fluency quite often, and remind them that if they would like to see their score go up, they need to practice. I've got a poster in my room that says "The best way to become a better reader is to read every day" and we're always referencing it. After they've had the chance to practice the passage all week long, we time it again on Friday... this time, coloring our score on our chart with a red crayon for our "HOT READ." They get SO pumped to see their score go up after a week of practicing hard! They also know that I expect to see their blue and red bars gradually getting higher, and they're very self-aware of how they performed in comparison to previous weeks. 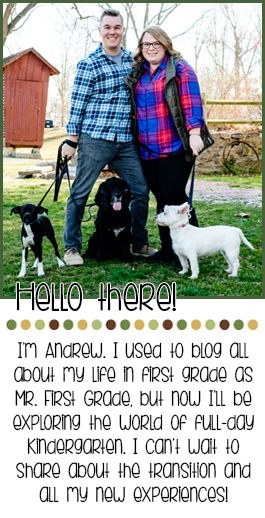 Click the pictures to snag these freebies exclusively on my blog, or visit the Freebies tab at the top for more fun ideas!